Happy Sunday Rubber Cafe' Fans! 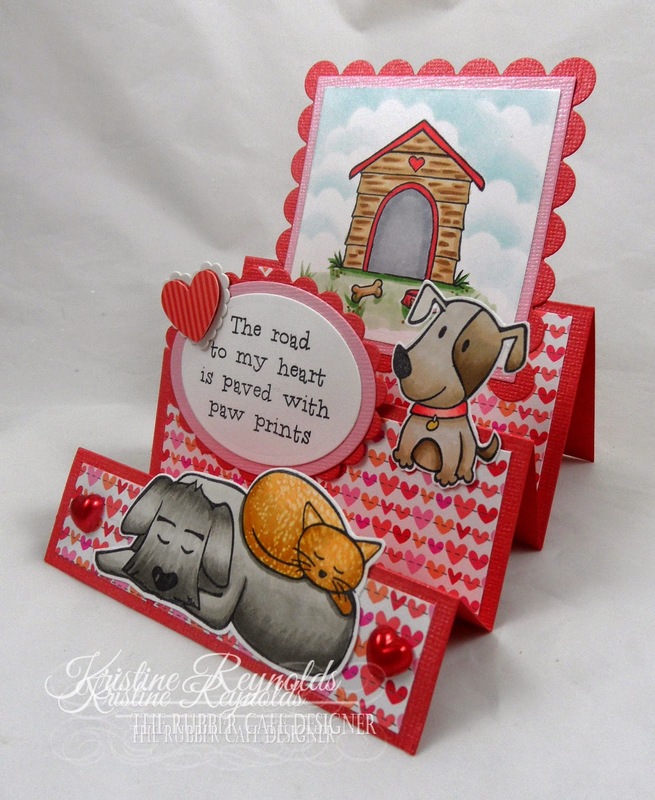 So excited to share another fun card that I made with this month Creative Cafe' Card Kit from The Rubber Cafe'. 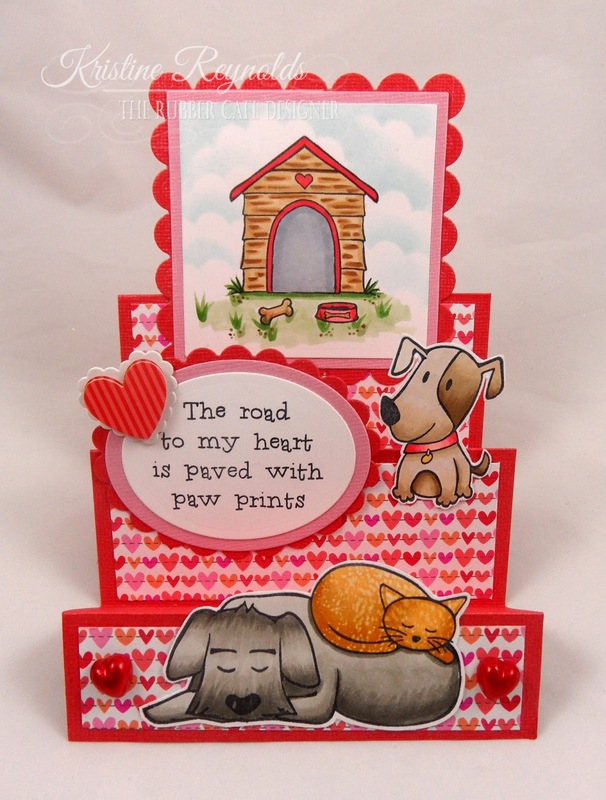 This months kit is called "Paw Prints on your Heart" and it is full of adorable furry friends! Today I made a simple step card. 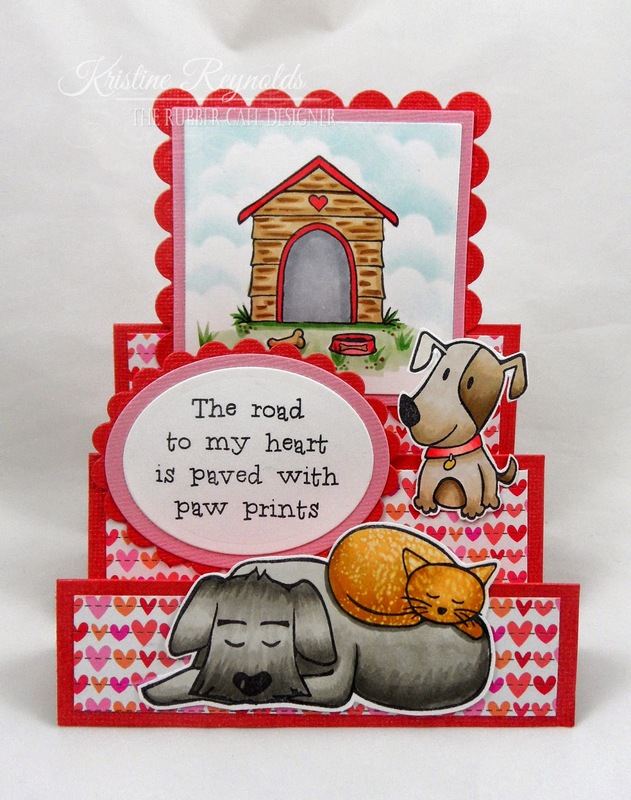 I used the "Live, Love, Bark" stamp set that comes with this months kit. I scored it at 2 1/2", 5:, 6 3/4", 8 1/2" and 9 3/4"
Fold back and forth on the score lines. 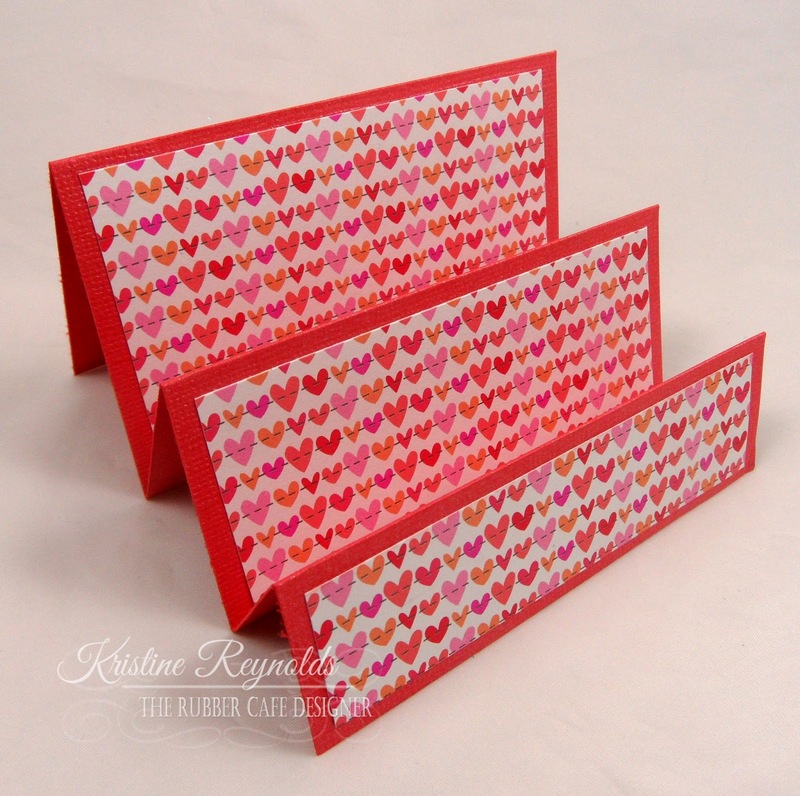 Cut patterned paper pieces to fit the steps and adhere with Scrap Happy Glue. 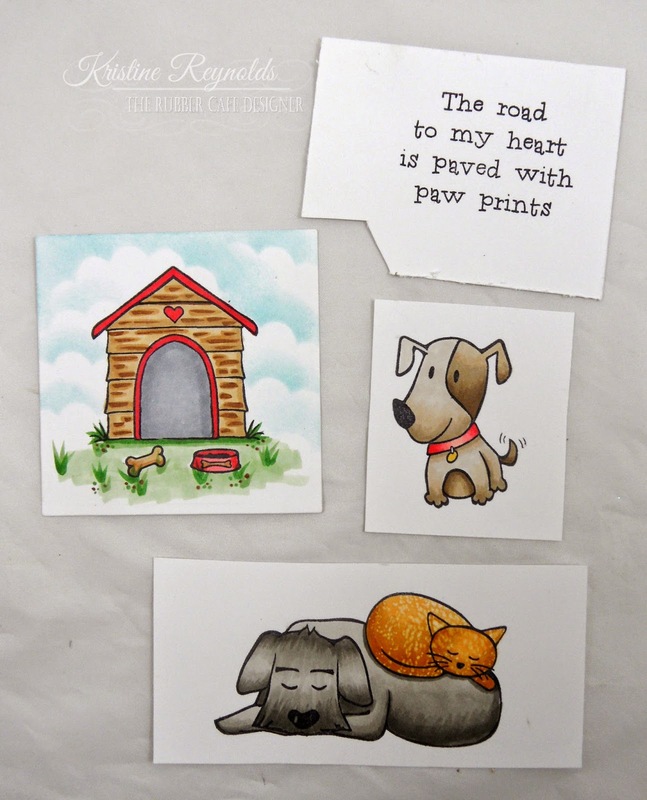 Stamp images and sentiments on white cardstock with Memento Black Tuxedo Ink and color with Copic Markers. Now you can start to build the step card. Back the dog house panel with a slightly larger pink panel and then a scallop edge red panel. Adhere to back step with Scrap Happy Glue. 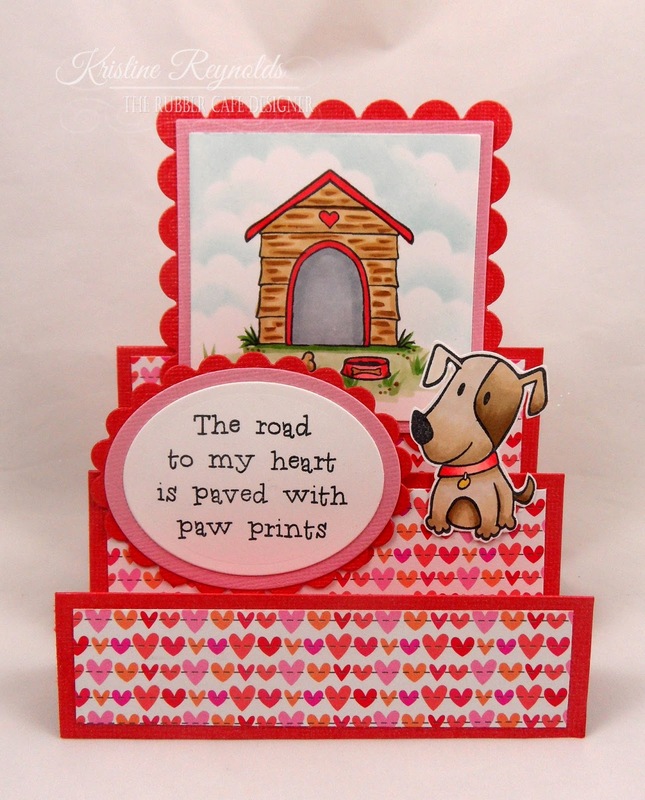 Die cut the sentiment panel with an oval die and the back with a slightly larger pink oval before adhering to the second step on the card with Scrap Happy Glue. For the front step, cut out the last image and adhere with Scrap Happy Glue. 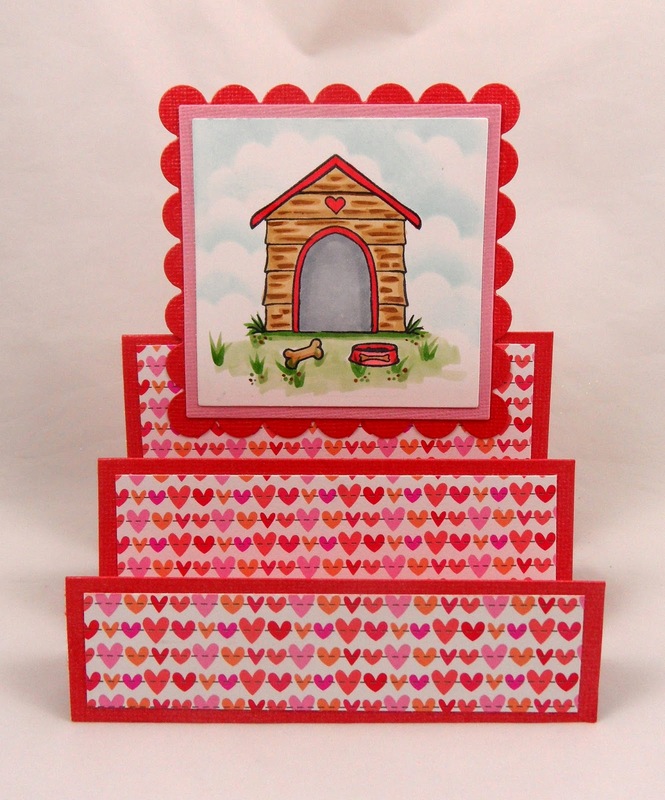 Add the heart embellishments to the card. It's so easy to create a fun fold card like this one.